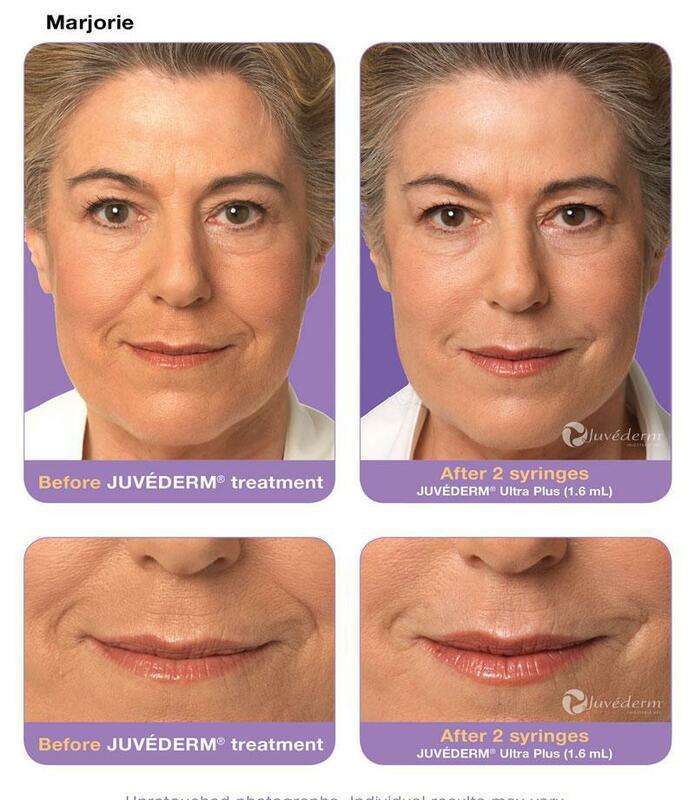 Now with local anesthetic for an even more comfortable procedure, Juvederm is a highly cross-linked Hyaluronic Acid dermal filler which may last for up to 12 months. Available in 2 strengths, Dr. Mest will determine which is best for you depending on the area to be treated. 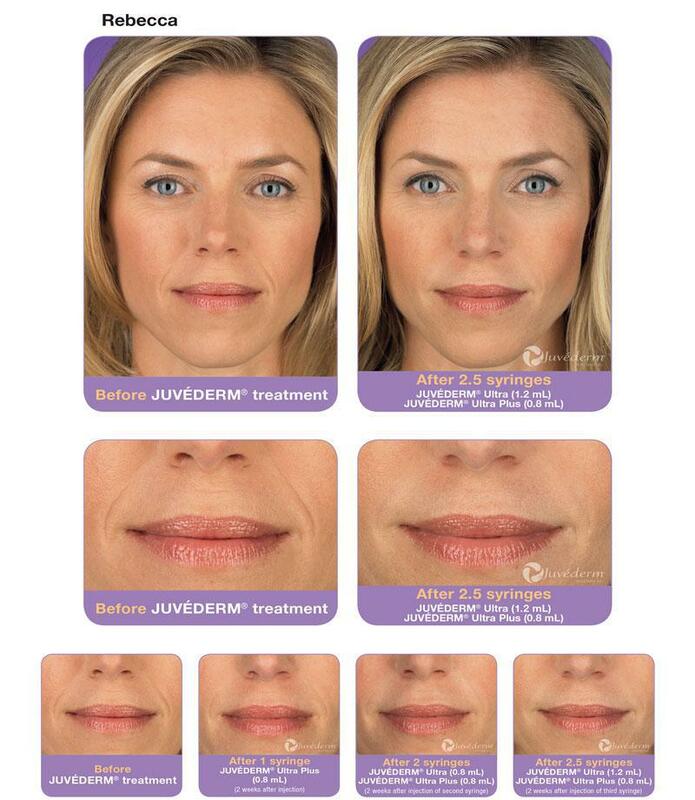 Juvederm, manufactured by Allergan, the makers of Botox, is a smooth gel made up of highly cross-linked Hyaluronic Acid particles in the highest concentration available which allows for the longevity of this material. Allergan’s unique, proprietary manufacturing process creates a uniform gel that allows for an easy, more uniform flow when injected. This translates into a smoother, more even result for the patient. 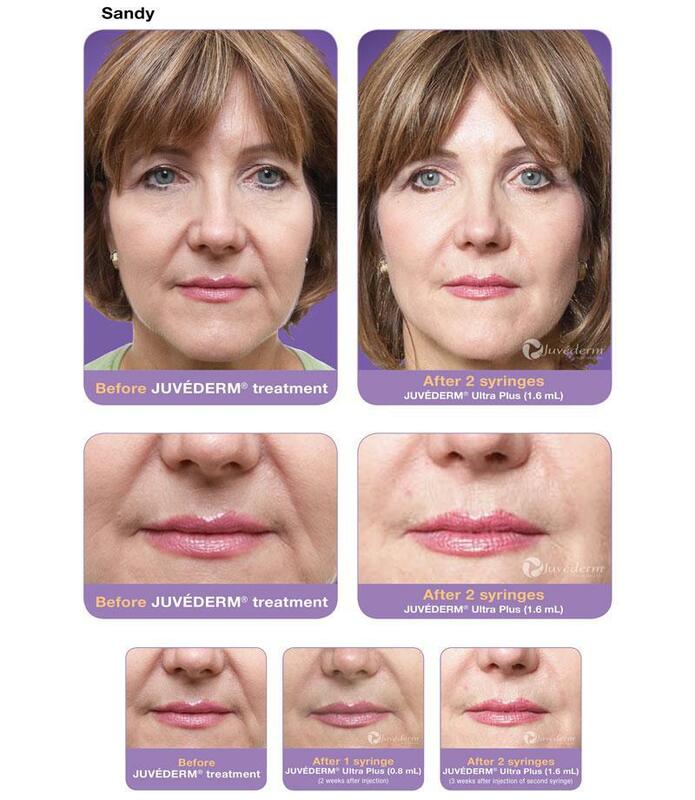 Juvederm belongs to the family of non-animal, highly cross-linked hyaluronic acid dermal fillers. Since there is no animal origin, no skin testing is required prior to treatment. Of note, Hyaluronic acid is naturally occurring sugar known medically as a polysaccharide that is present in all species and thus a natural part of your own skin. What makes Juvederm unique is its proprietary cross-linking and concentration of Hyaluronic acid. 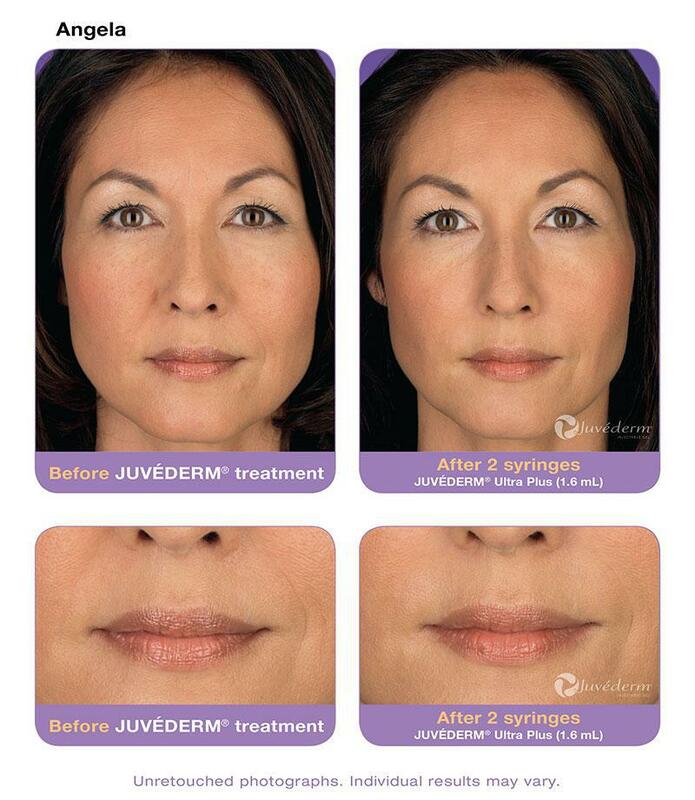 What are the benefits of treatment with Juvederm? The main function of Hyaluronic acid is to maintain hydration with water in the skin. Therefore the addition of this material to the dermis adds volume and turgor to the skin. In fact, Hyaluronic acid acts like a natural sponge, absorbing up to 1000 times its weight. Furthermore, the increased hydration allows for the binding of collagen and elastin and may even help prevent the breakdown of these substances by your body’s own enzymes. The end result of treatment is the softening of dermal wrinkles and more beautiful appearing skin. In addition, the cross-linking of Juvederm allows for the retention of water even as the Juvederm is being metabolized by the body, thus giving durability and duration of up to 12 months. 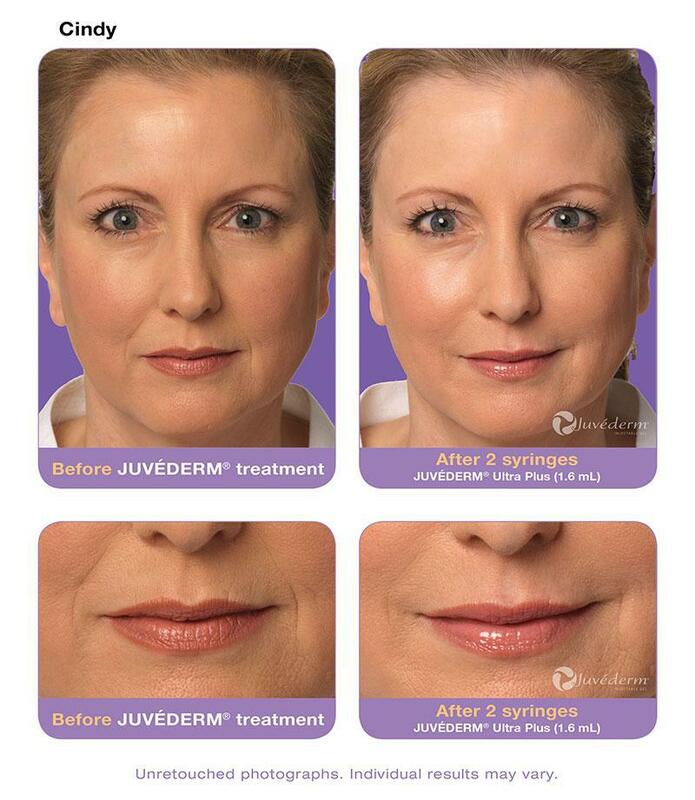 Most superficial wrinkles can be easily treated with Juvederm such as lip lines and Glabellar frown lines. 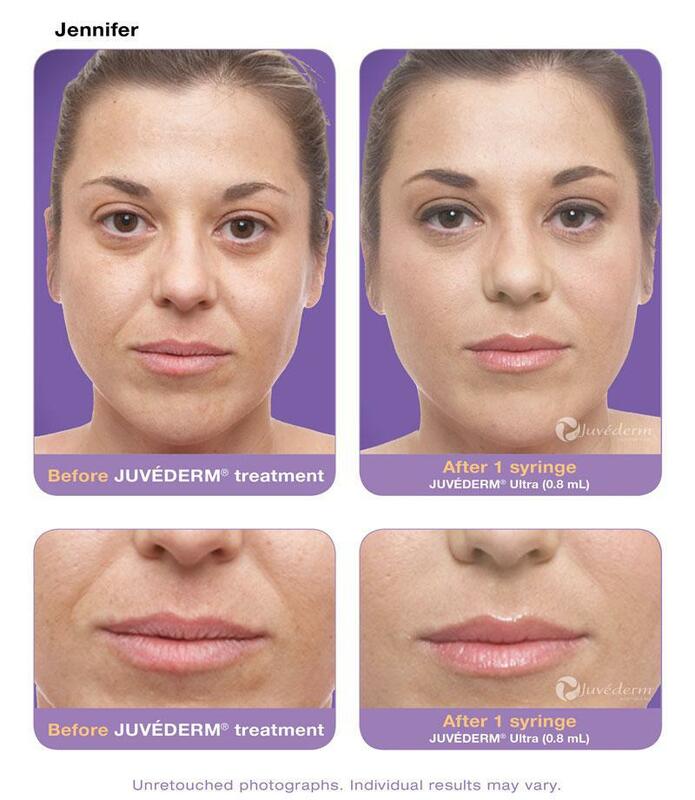 Also, Nasolabial and Marionette lines and folds are easily improved with treatment with Juvederm. Lip augmentation for thinning lips or lip enhancement is a very common request that Juvederm is excellent for. 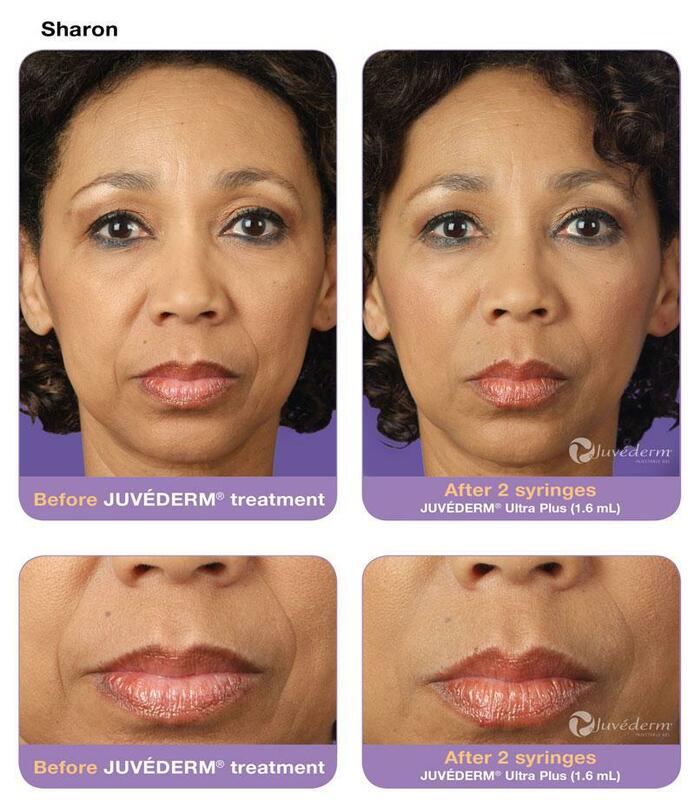 Juvederm can also be used under the eyes to treat hollowing and wrinkling due to volume loss in this area. 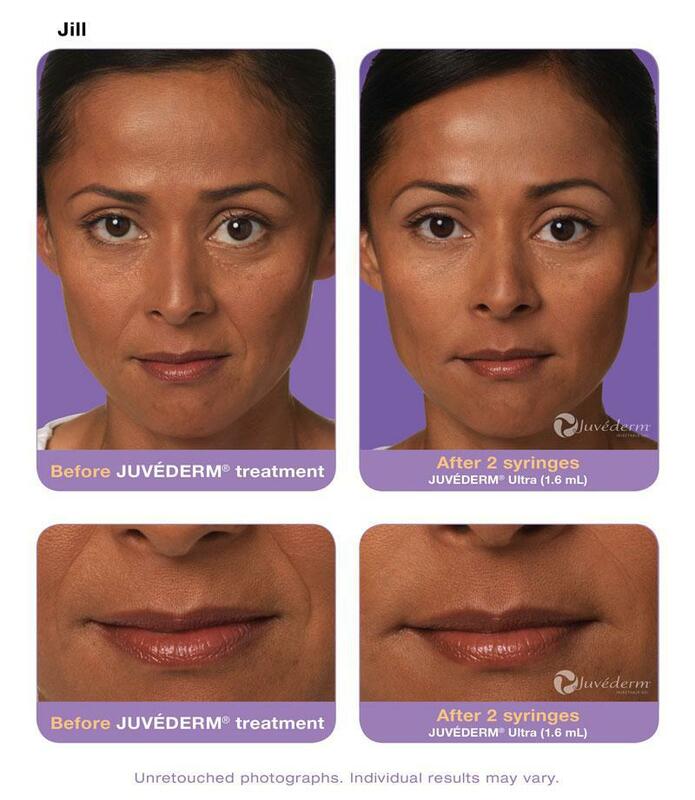 What is a treatment with Juvederm like? Since the addition of the local anesthetic lidocaine to Juvederm, many patients only feel some pressure during treatment which is easily tolerated. In some cases, Dr. Mest will perform a local anesthetic block to increase your comfort. Treatment takes only minutes to do and the results are immediate. Due to the nature of Hyaluronic acid’s attraction to water, there will be some mild swelling of the area immediately post procedure. This may last for up to 2 weeks in some patients after which the final, soft natural result is obtained. Finally, as with any injection, bruising may occur. This can be minimized by the avoidance of anti-inflammatory medication such as Advil/Aleve/Aspirin for several days before your procedure. In addition, vitamin E, some herbal medications such as Ginko and Ginseng and Red wine may also increase the risk of bruising after the procedure. 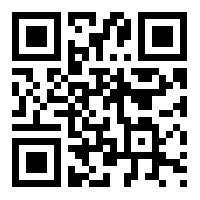 Please check with Dr. Mest before stopping any medication prior to your planned procedure. Avoiding strenuous exercise and excessive heat for 4 hours after the procedure will also help to decrease potential bruising. You’ve heard a lot about JUVÉDERM® – now it’s time to SEE. 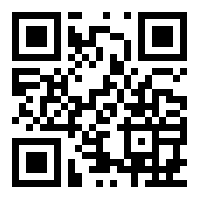 Click on the photos to enlarge. These photos are for demonstrative purposes only. Individual results may vary. You’ve heard a lot about JUVÉDERM® – now it’s time to SEE. The JUVÉDERM® Treatment Visualizer App will help you visualize how JUVÉDERM® can smooth away your wrinkles and folds, so you can personalize your treatment. With the JUVÉDERM® Treatment Visualizer you are not just able to visualize how you may look with JUVÉDERM® treatment, but also learn potential questions to ask your doctor and treatment tips that will help you and your doctor at your JUVÉDERM® treatment consultation. And if you don’t have a doctor, don’t worry, as the app will help you find a doctor too.